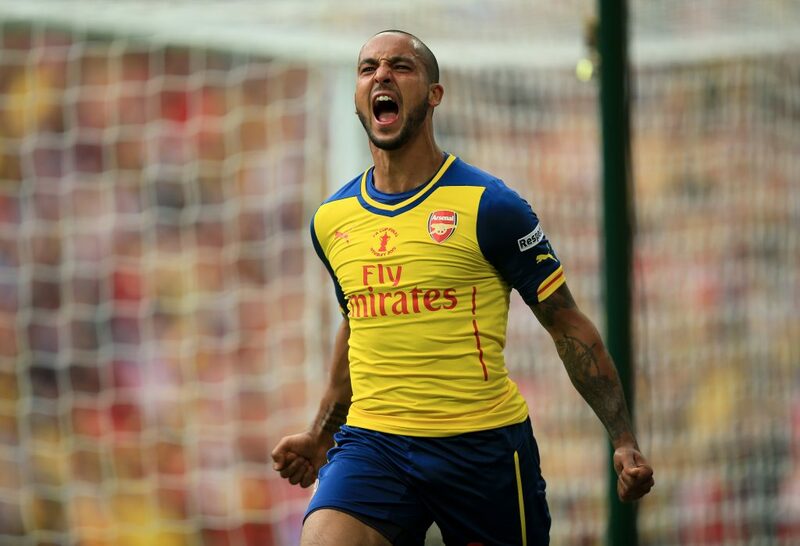 Arsenal’s Theo Walcott is confident he can contribute to the team as a striker and help the club achieve success this season. The England international was handed a start up-front by Arsene Wenger for Saturday’s trip to Newcastle United, but the 26-year-old was unable to find the back of the net. The former Southampton youth player twice went close to registering his first goal of the season at St James’ Park but was thwarted by an inspired Tim Krul, who was unlucky to end up on the losing side. Alex Oxlade-Chamberlain’s deflected strike off Magpies skipper Fabricio Coloccini proved to be the decisive goal as the Gunners ran out 1-0 winners in a feisty affair. Summer arrival Aleksandar Mitrovic was shown a straight red in the first half for the hosts while six other team-mates were cautioned by referee Andre Marriner. The victory for Arsenal was an important one, having already lost against West Ham and drawn with Liverpool this season, and the three points helped lift the team up the table. Walcott, who has been plagued with injuries over the past couple of seasons, is hopeful of playing more regular football and happy at having the chance to play further forward. “I enjoy playing anywhere in the front line,” he told Arsenal Player. “The manager gave me an opportunity and it’s a shame I couldn’t help him out there by getting those goals but they’ll come.